Our range of stylish soap dispensers will complement any washroom. We offer a fully maintained service which takes the hassle out of ordering supplies. 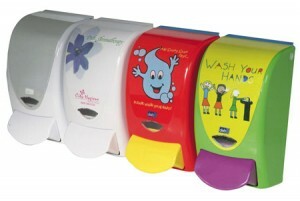 Our childrens’ design soap dispensers are perfect for encouraging children to wash their hands in the washroom.